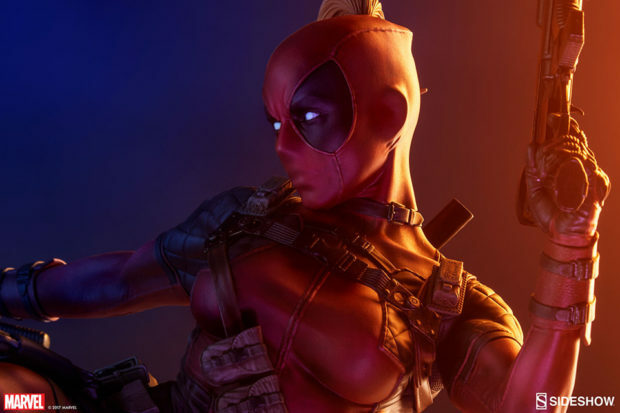 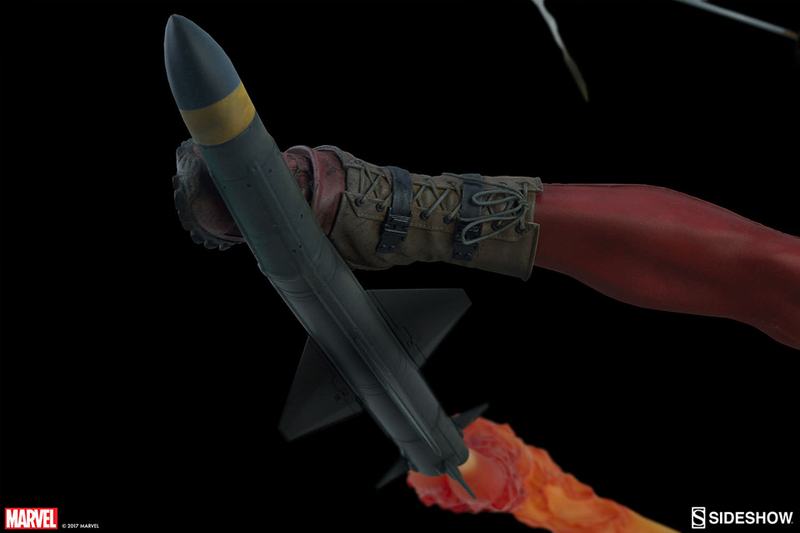 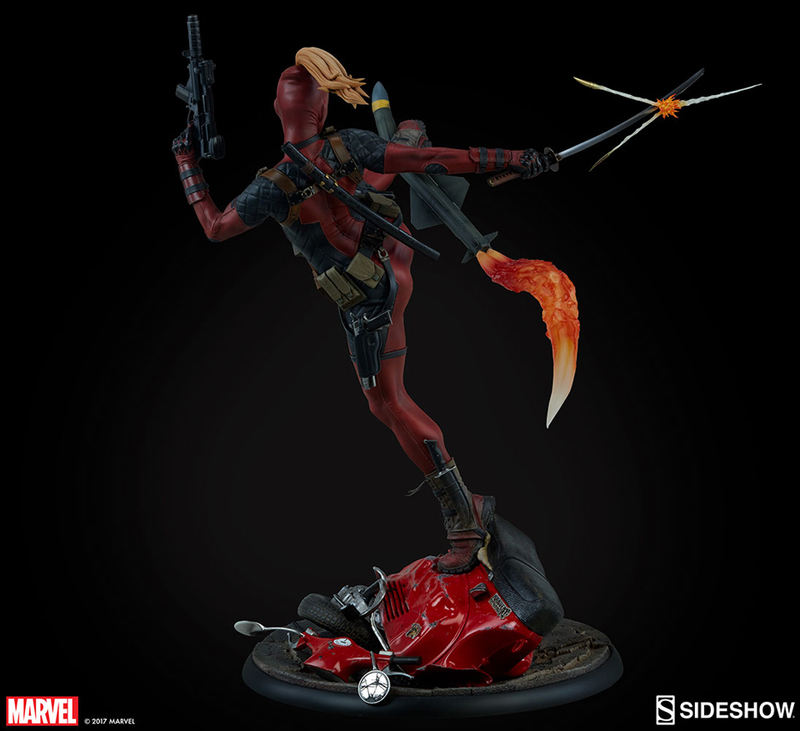 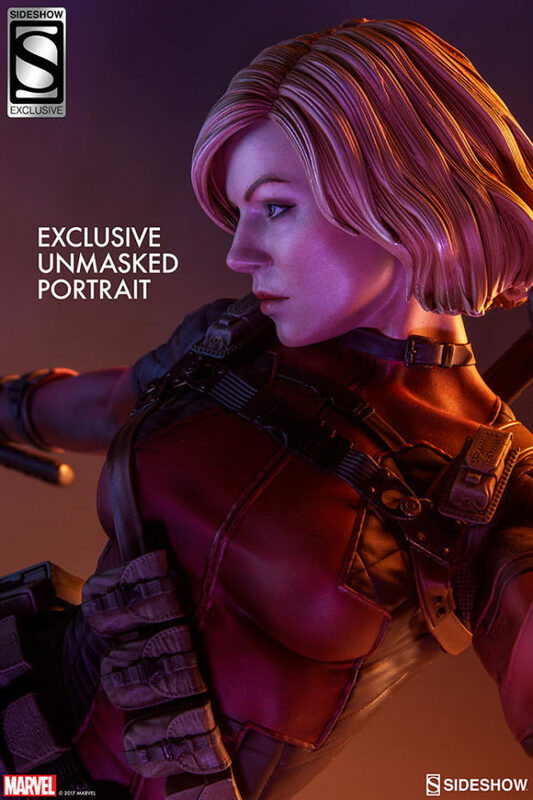 Sideshow Collectibles recently unveiled a matching statue for its Deadpool Heat-Seeker Premium Format Figure. 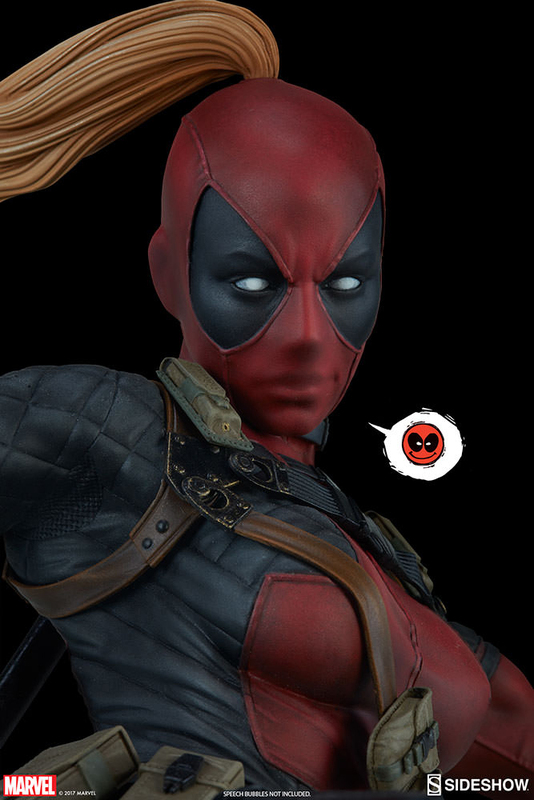 It’s none other than Earth-3010’s Wanda Wilson, aka Lady Deadpool. 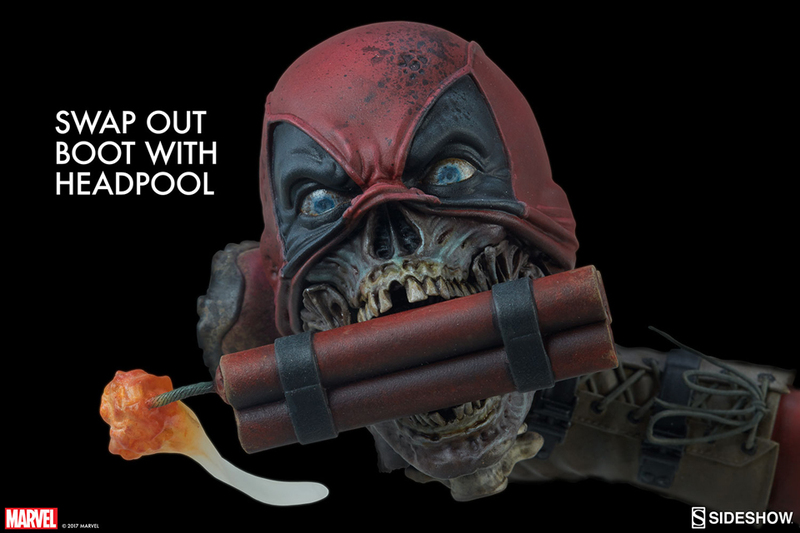 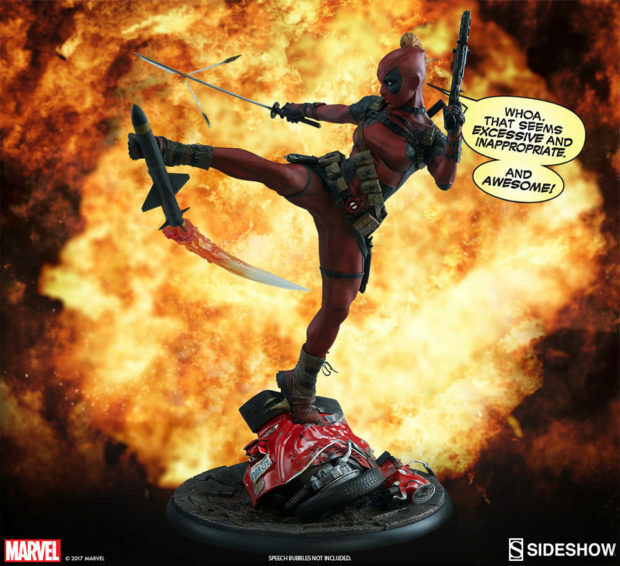 Just like Wade Wilson’s statue, this is one action-packed collectible. 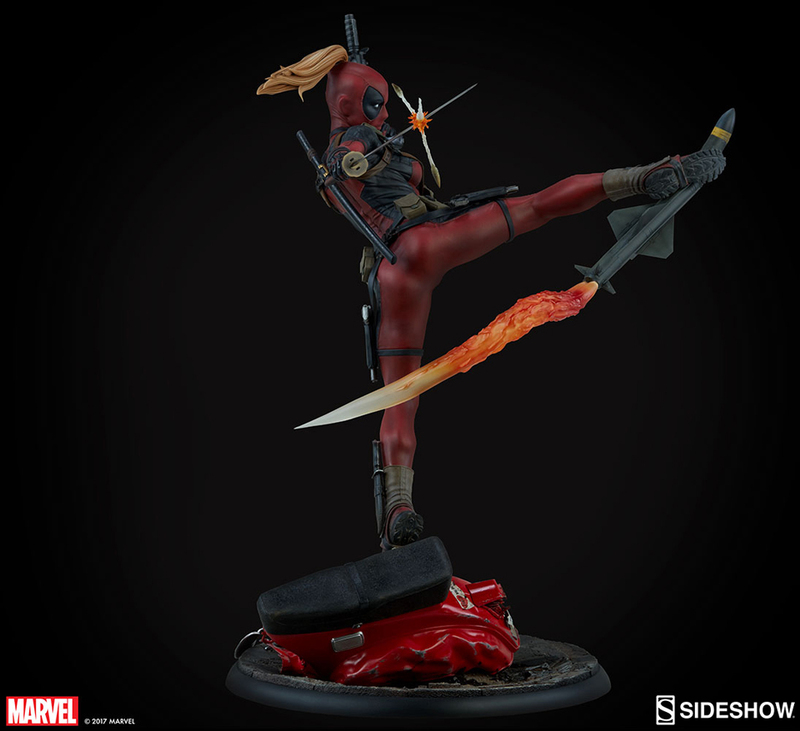 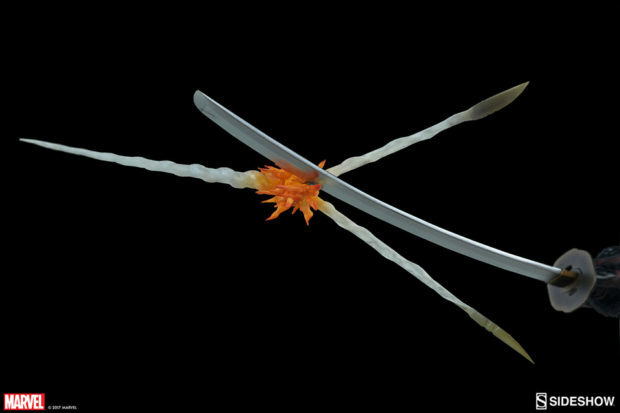 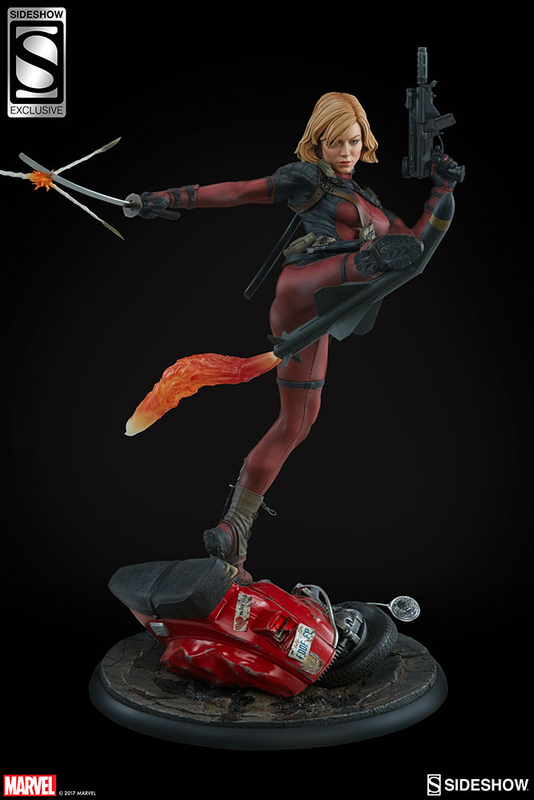 Lady Deadpool is slicing a bullet in half with her katana while kicking a freakin’ missile. 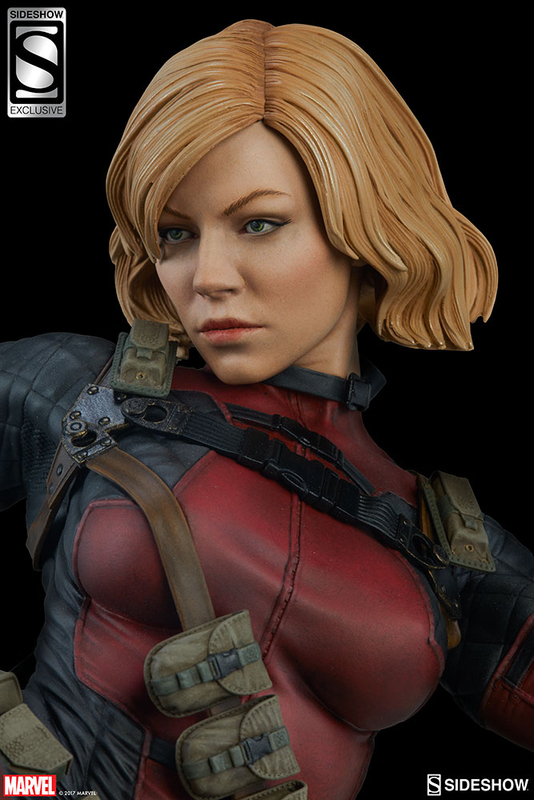 She also comes with an alternate boot that replaces the missile with Headpool, and an alternate unmasked portrait. 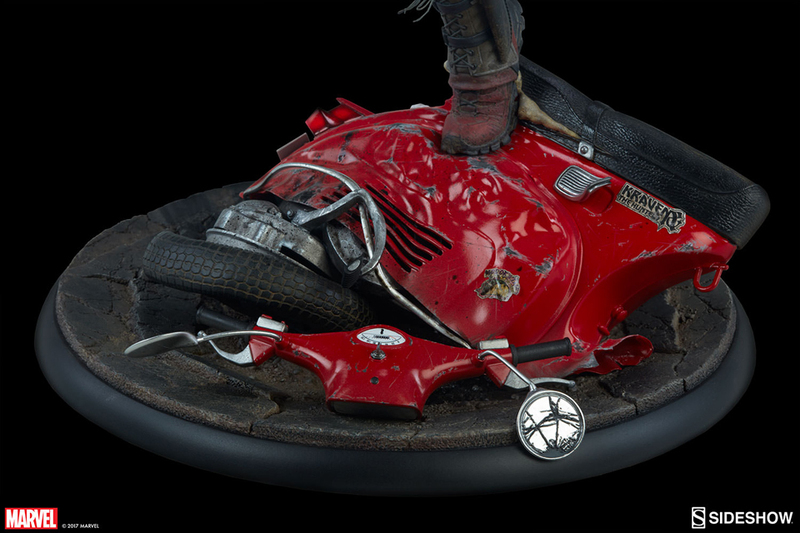 Last but not least, the 22″ tall statue has a wrecked scooter for a base. 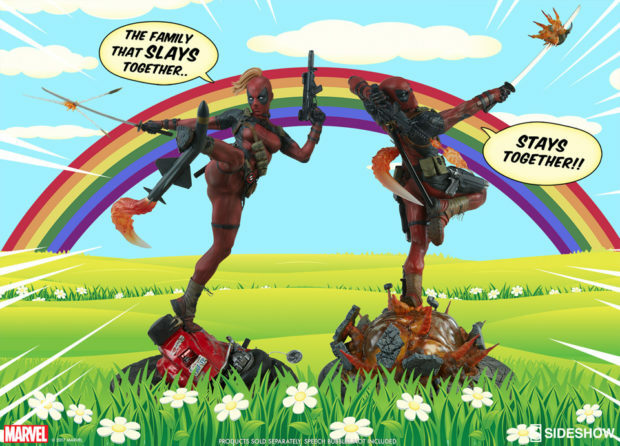 The scooter has stickers referencing Marvel characters such as Kraven and MODOK. Apparently, the vehicle’s license plate, which appears to read “FDDF FP”, is “a super secret reference to something totally awesome!” I don’t have a clue what it could be though. You can pre-order the statue for $675 (USD).